Website security issues aren’t entirely the fault of a hacker. Sure, they are the ones who initiate an attack, but many are only able to do so with help from an unlikely source. You. That’s right, this is a classic case of victim blaming, but in many instances of website security issues such is completely warranted. Before an attack can occur, a vulnerability has to exist. 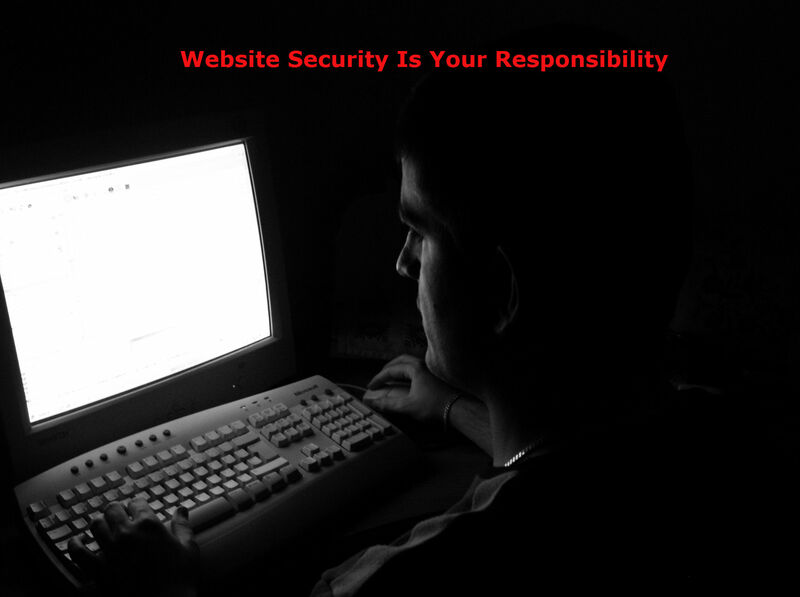 And safeguarding your site against vulnerabilities is entirely your responsibility. One of the easiest ways that hackers are able to penetrate a website is through weak passwords and easy login credentials. Also, a password that never changes is one that’s like a sitting duck for a hacker. Using a good password generator and creating new passwords every 90 days is recommended in order to prevent compromising your website security with these types of login issues (Johanssen, 2013). Neglecting to update WordPress themes, plugins and WordPress, itself, is like sending a personal invitation to a hacker. This sort of neglect is akin to leaving a mansion unoccupied with all of the doors and windows unlocked. While it may seem like a pain to constantly stay abreast of all of the latest updates to themes, plugins and WordPress, doing so is a very critical component to good website security (Benjamin, 2013). Once a hacker has access to just one site on your server, it may not be long before he has access to every site on your hosting account. Think about this in relation to the advice just shared about frequently updating key components of your site. A neglected website on your roster may very well be the only open door that a hacker needs to infiltrate your entire operation. While you may have a very secure login system and all of the software on every site you own is up-to-date, the absence of software that regularly scans your site(s), fixes the website security issues, blocks future hacker access and reports security events means you are just as vulnerable as any site owner who fails in these other areas. Consider for a moment a string of brute force attacks that affected WordPress sites this past September (Paganinip, 2013). In less than 30 seconds, hackers were literally able to infiltrate 569 sites. By installing SecureScanPro on your website, you can avoid becoming a victim of a similar attack in that our plugin regularly scans for issues which, if found, are immediately fixed while the hacker is sufficiently blocked. Our SecureScanPro plugin also protects you from future attacks and reports new attempts directly to you. It is not necessary to be a tech genius in order to run a website. It seems that scores of people choose to build WordPress sites for precisely this reason as many report that they are easy to build and maintain. For various reasons, however, some owners choose to work with a web developer or hire someone else to maintain and update their sites. This is fine to do, of course, but every site owner should strive to have a basic understanding of what it is that this person does for them. If necessary, an owner should be able to take these tasks over at any time or know how to successfully guide someone else in doing so. Without this skill, owners may find their sites within a hacker’s crosshairs simply because they do not know how to do things like update software and plugins or interpret security data. Or they just may not have a good understanding of security issues in general. There’s never an excuse for losing all of the content and data associated with your website. Regularly backing your site up ensures its safety should you ever be hacked. While you may lose your most recent version, a near-recent version can be restored if the site was recently backed up. As you can see, each one of the potential website security issues named above is entirely within your control. To the extent that you eliminate these vulnerabilities, you can also eliminate the chances of hackers being successful in attacking your Internet property. The question now becomes whether you will accept responsibility for your own website security now or will you wait until it’s too late?